Our Community Spirit program helps us connect to organizations that make a difference, and Source Regina has recently become a proud supporter of that city’s Street Culture Project. This non-profit organization works to empower vulnerable youth in the community through social entrepreneurship, positive role-modeling, community resources, social activities, education-based programming, and life-skills training to help kids be the change they want to see in their own lives. 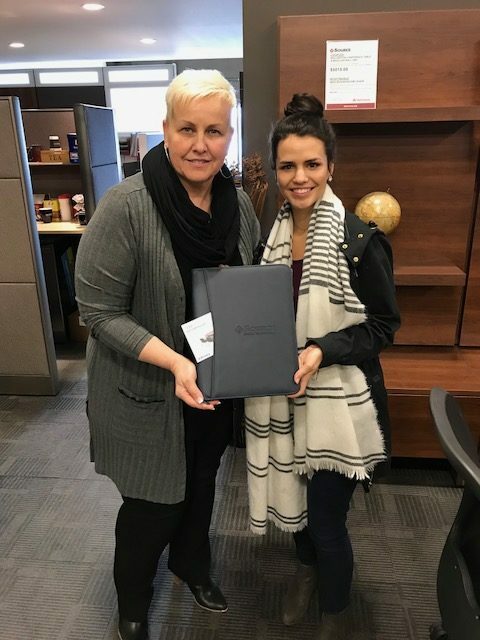 Street Culture Project recently held its 20-Year Fundraiser Gala to celebrate two decades of outstanding work, and Source Regina was proud to donate a Source-branded padfolio and $250 gift certificate to the evening’s auction. We value and admire the work that groups like the Street Culture Project do for those in need and we’re pleased to contribute to their efforts. Source Office Furnishings — Making Your Office Work Better!